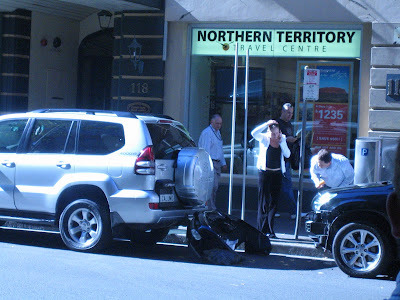 While waiting at a Commonwealth Bank ATM on Clarence Street in the city, I witnessed a soccer mum back in to and then rip off the bumper of an innocently parked car. It was one 4WD attacking another so I didn't care too much. The petrol guzzlers deserve each other.